I was very excited to have my CMEPalooza session (Secrets of CME Outcome Assessment) officially sanctioned by the League of Assessors (LoA). 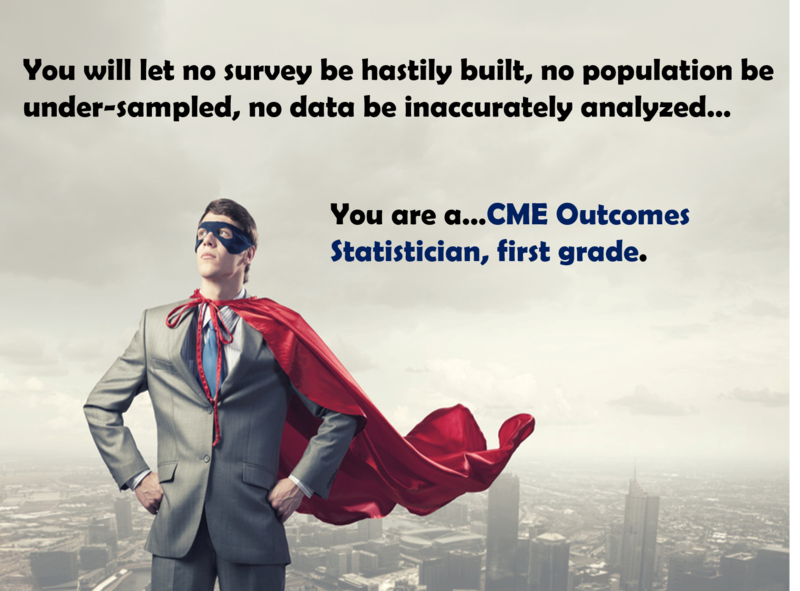 Accordingly, participants who passed the associated examination were awarded “CME Outcome Statistician, first grade” certifications. It’s a grueling test, but three candidates made it through and received their certifications today (names withheld due to exclusivity). More good news…I petitioned the LoA to extend the qualifying exam for another six weeks (expiring May 29, 2015) and was officially approved! So you can still view the CMEPalooza session (here) and then take the qualifying exam (sorry, exam is now closed). Good luck!